The thing is, I have… what do they say? Champagne taste on a beer budget? Yes. Except I hate beer, but you get the point. 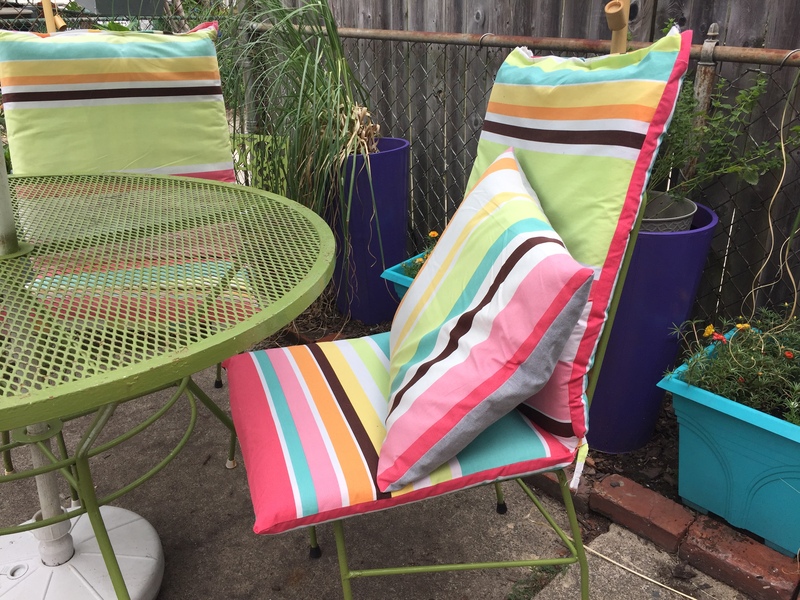 To go along with my awesome lime green patio set (which I love, PIC’s comments on the matter notwithstanding), I picked up some super cheap outdoor furniture cushions at my favorite thrift shop. There was only one problem with the cushions: they were waaaaay ugly. Okay, actually two problems: they were also not the right size. But the cost $6 a piece and I was carrying the mortgage on my own at that point so what can I say? 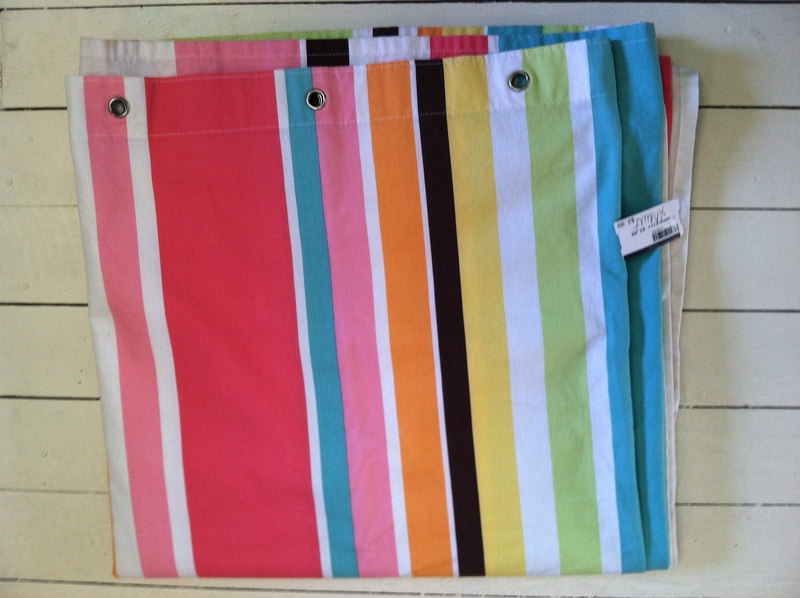 Fortunately said thrift shop also had not one but TWO amazingly cute fabric shower curtains. 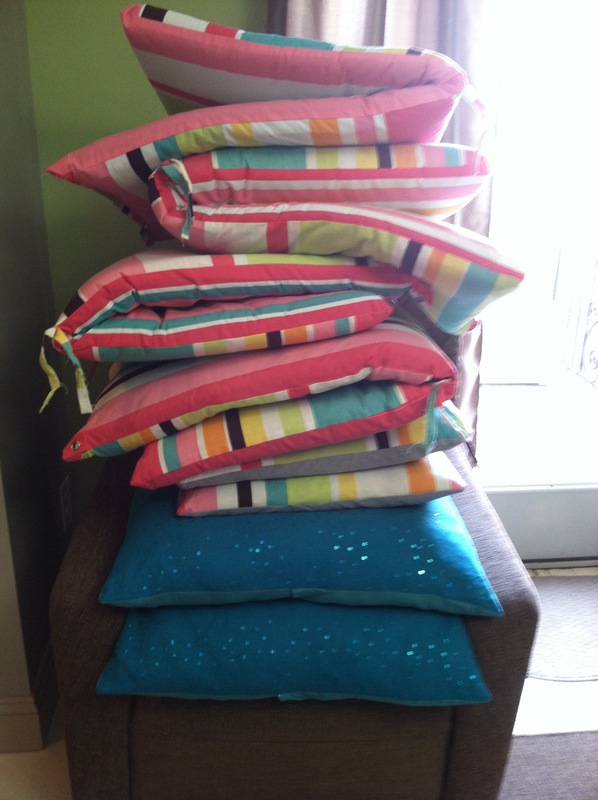 Measure your cushions to determine how large you’ll need to cut each fabric piece. 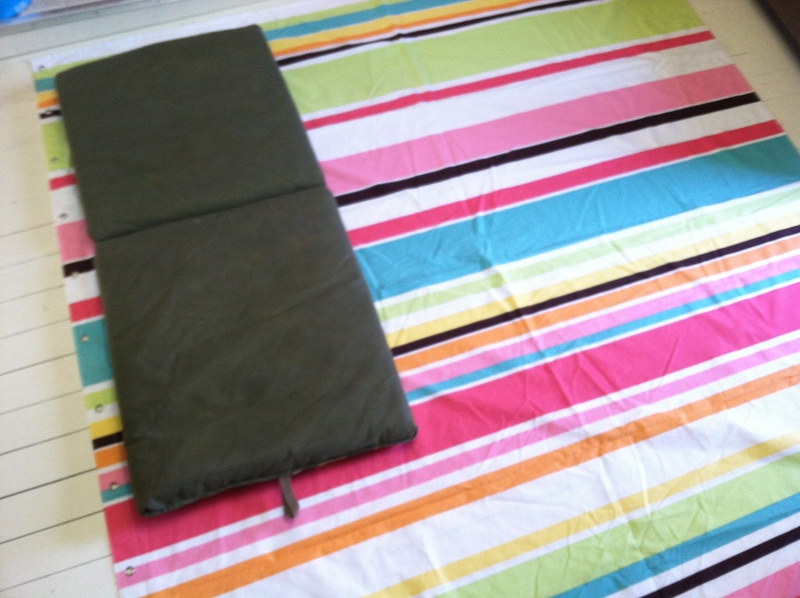 I laid mine out on the floor to make it easier (which really only works if you have no furniture, but hey, there are some perks to being a first time home owner). Add 2 or 3 inches to your cushion measurements to allow for seams and a bit extra width since cushions aren’t, you know, flat. 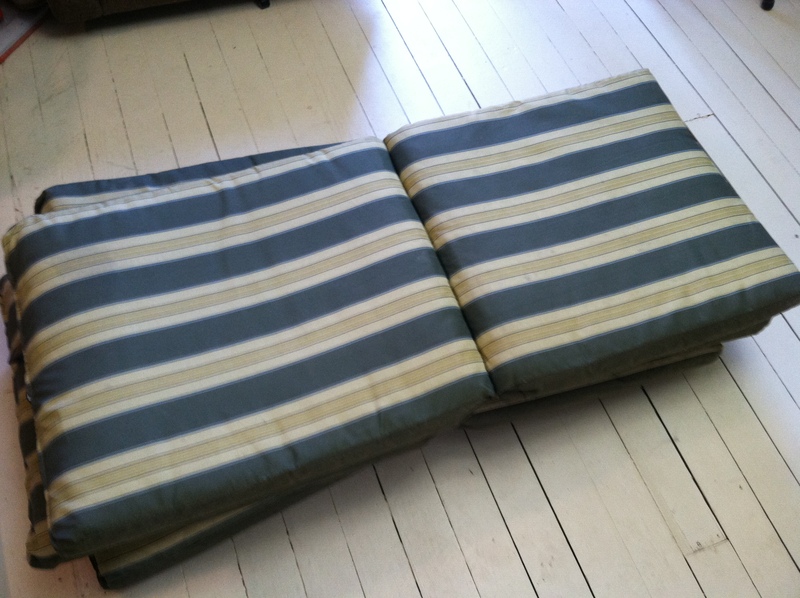 Cut two pieces of fabric for each cushion, one for the front and one for the back. 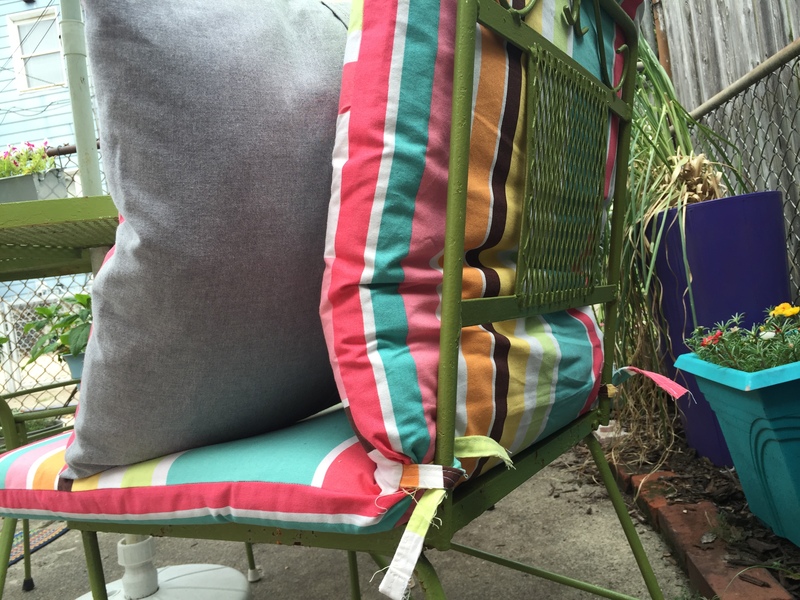 If your fabric is large enough, you can eliminate some time and some sewing but utilizing a folded edge for one of your seams, just be sure to cut your piece twice as large so it can wrap around your cushion front to back. 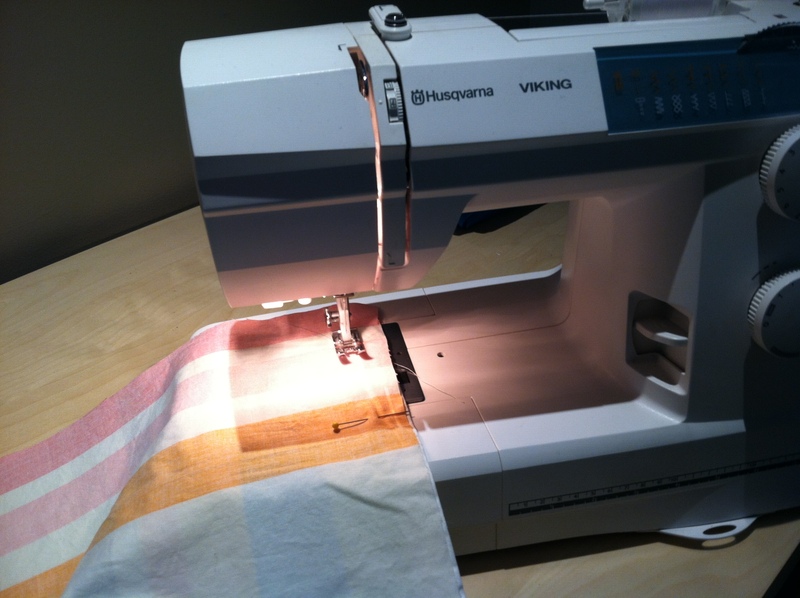 Sew your fabric pieces together leaving one of the shorter seams open. I made sure to cut my fabric so that I was utilizing one of the original hemmed edges of my shower curtains for the opening (less to hem for the finished product). 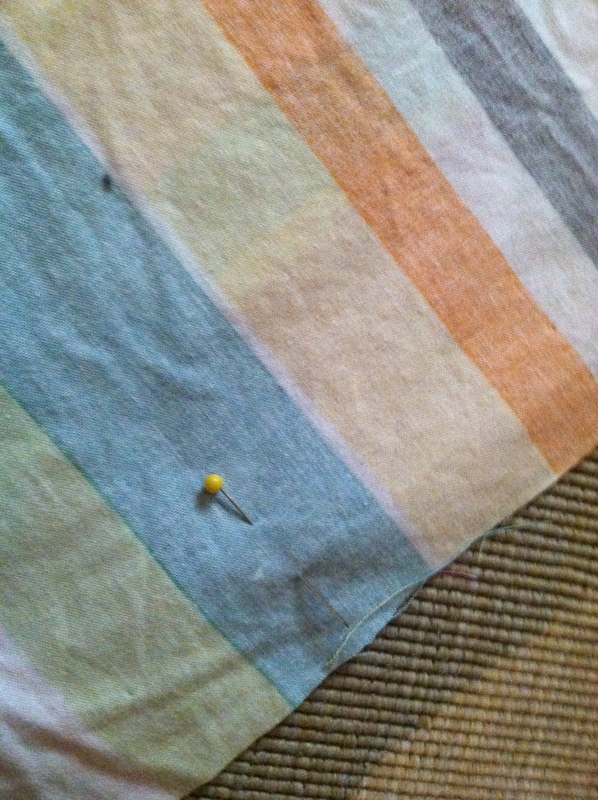 I also thought the original grommets looked cool so I left them there as a design element. 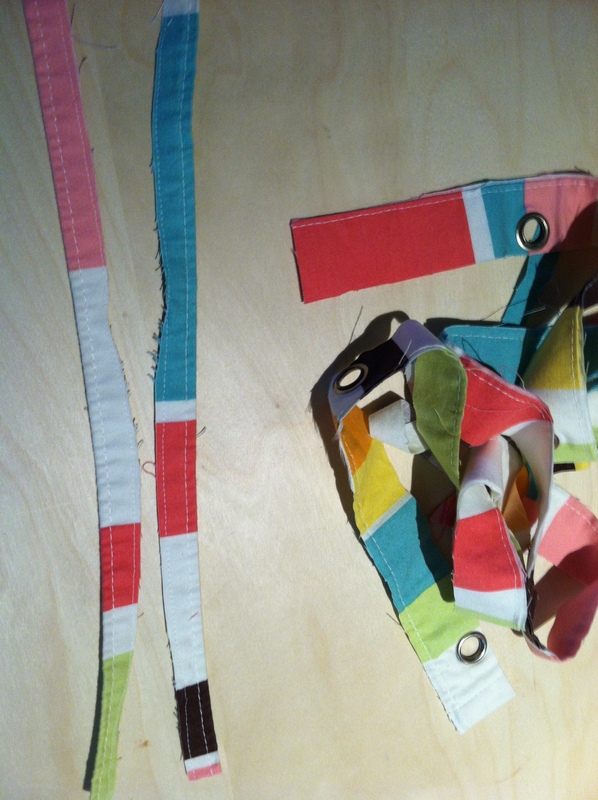 If desired, add matching ties by sewing them into the middle of the longer seams. I used leftover fabric and made my ties about 3/4″ x 10″. When you’re done, flip the whole thing right side out. 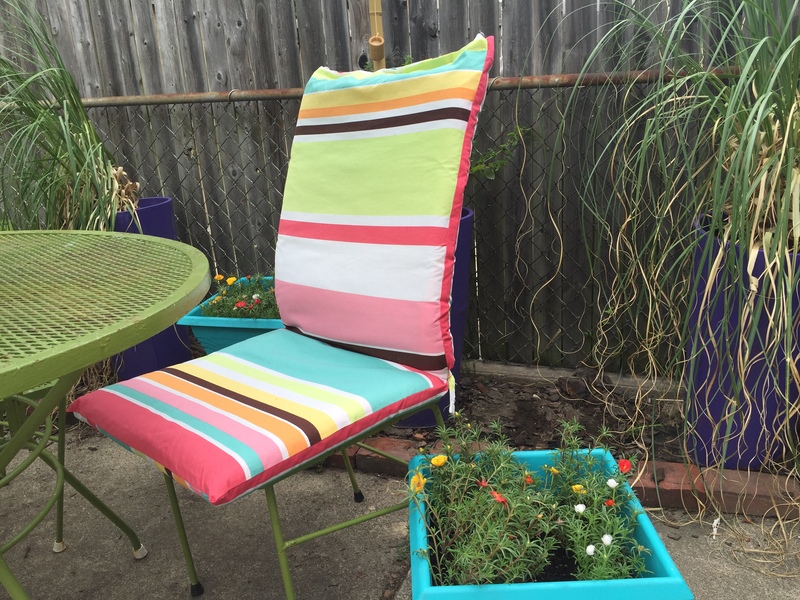 Notice how the teal stripe matches my spray painted portulaca planter PERFECTLY! Here’s the back of the cushion with the ties I added to keep it attached to the chair. 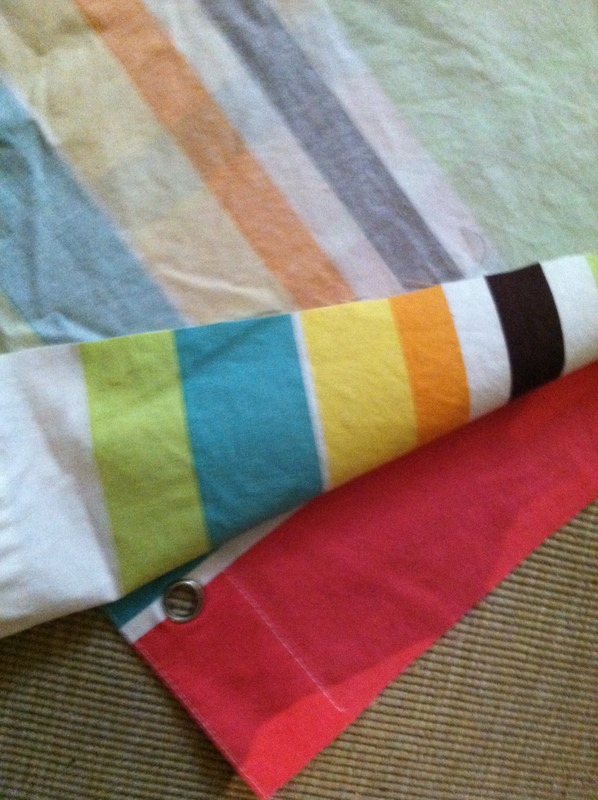 The shower curtains yielded enough fabric to cover 4 cushions and make 2 matching throw pillows. 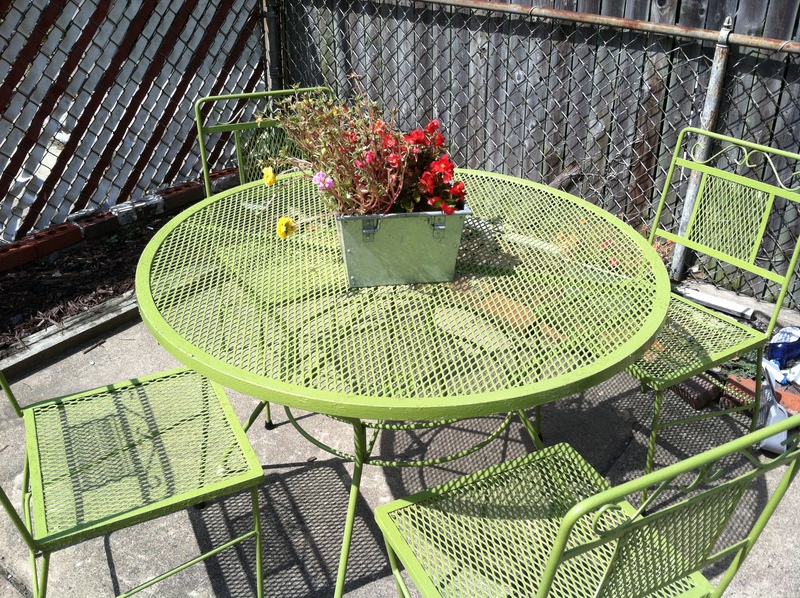 Very smart, and the green seems to match the table! Thanks 🙂 I was quite pleased with how they turned out.